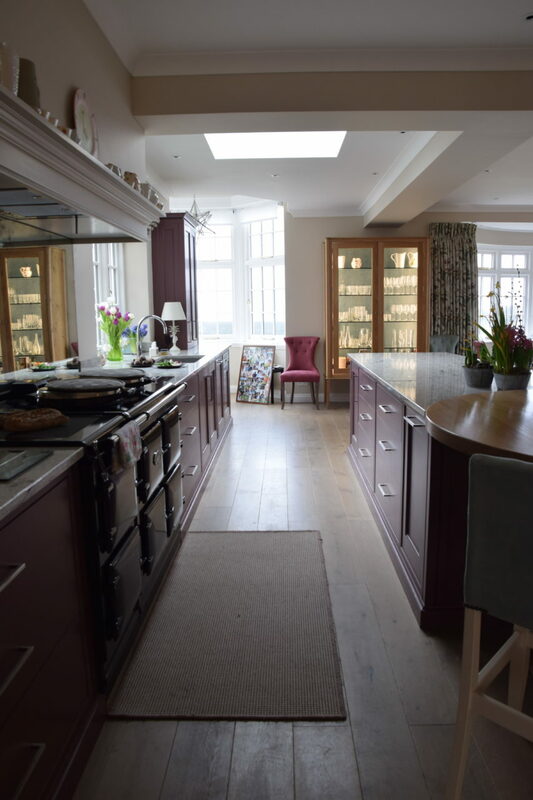 This was a very exciting kitchen for the workshop to make. 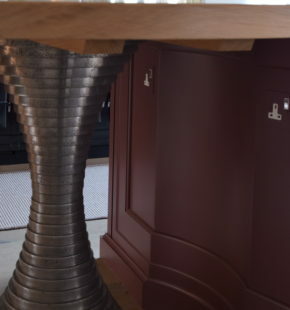 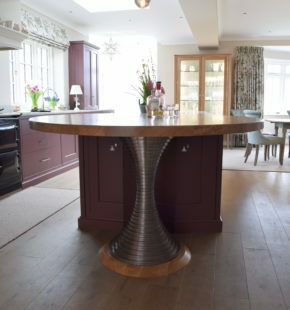 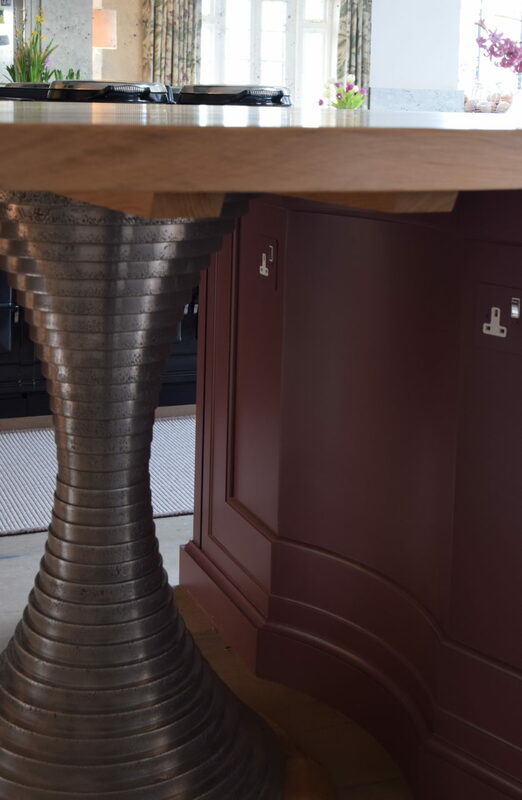 The client was quite open to design ideas and her budget allowed Nick to create a number of pieces that were quite unusual in their design and materials used. 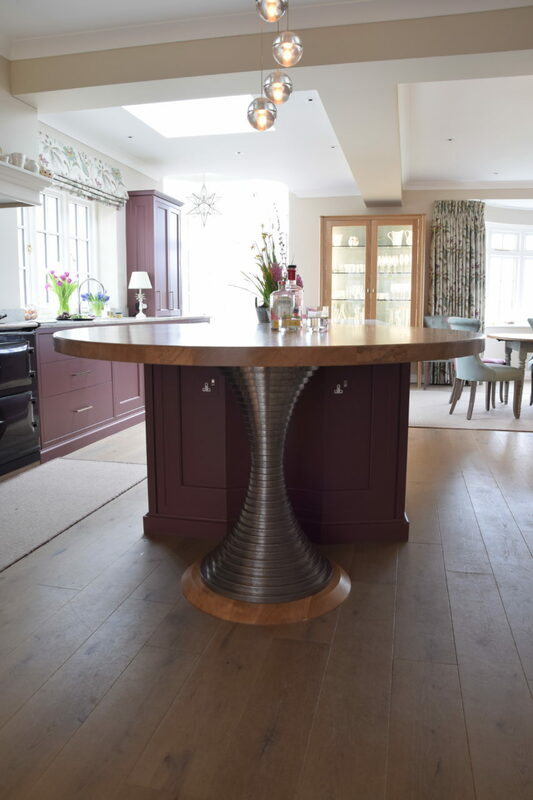 The table base for the island was a first time design and was made from individual slices of mdf that were then layered together to create a linear shape, this was then sent off for spraying with a metal coating to give it it’s finished look, giving what is at first glance quite a traditional kitchen a modern twist. 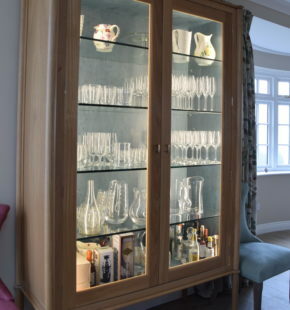 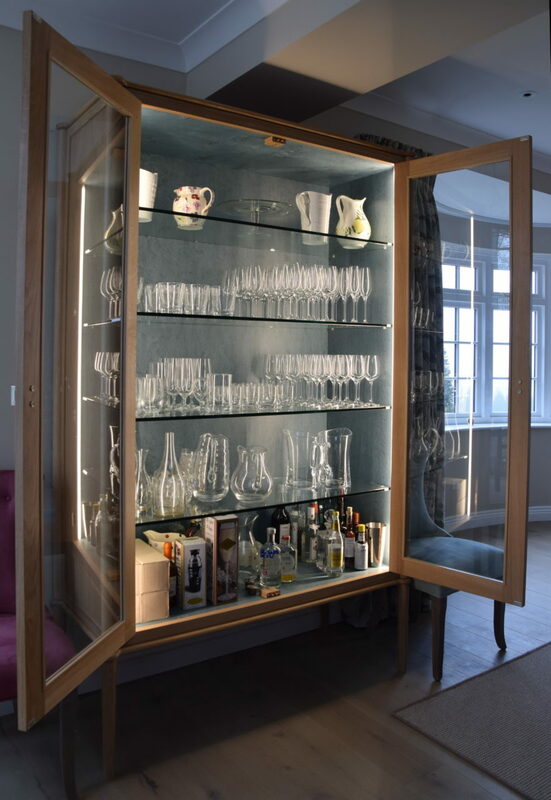 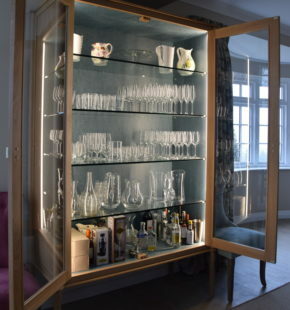 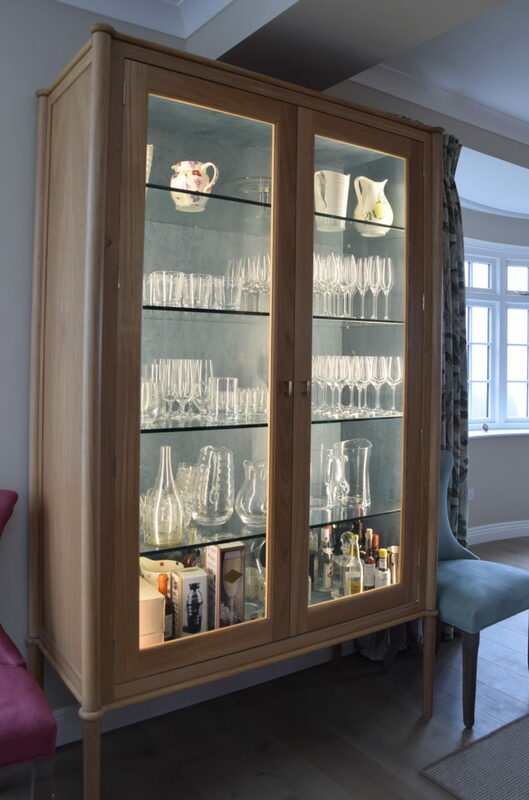 The client also commissioned Guild Anderson to make her a free standing glass fronted cabinet to house all her glassware in. 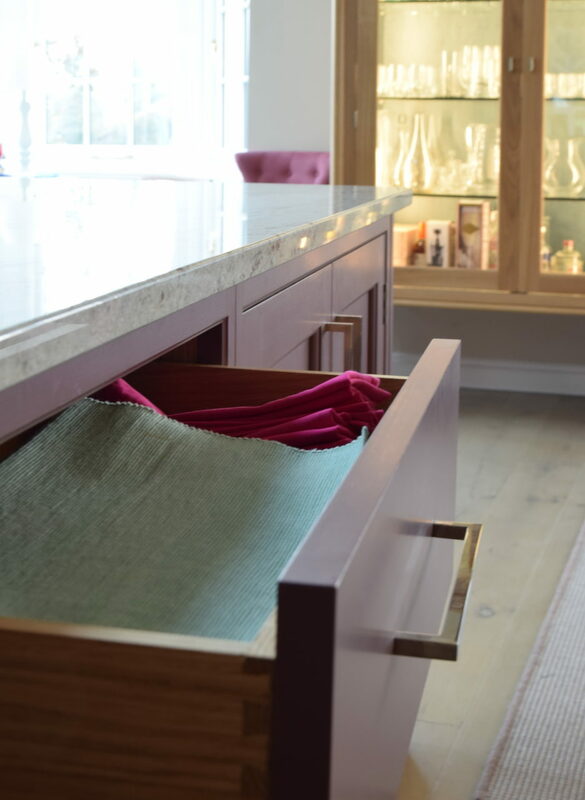 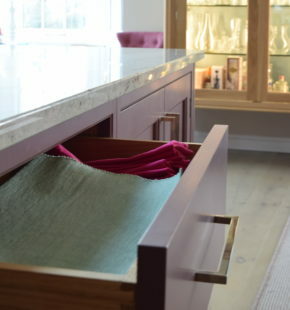 As the interior of the cabinet was so visible the interior was decked out in a coloured Bird’s Eye Maple veneer which we think looks great fun against the plum coloured cabinetry. 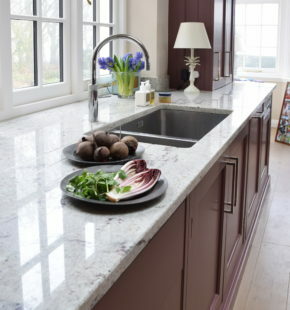 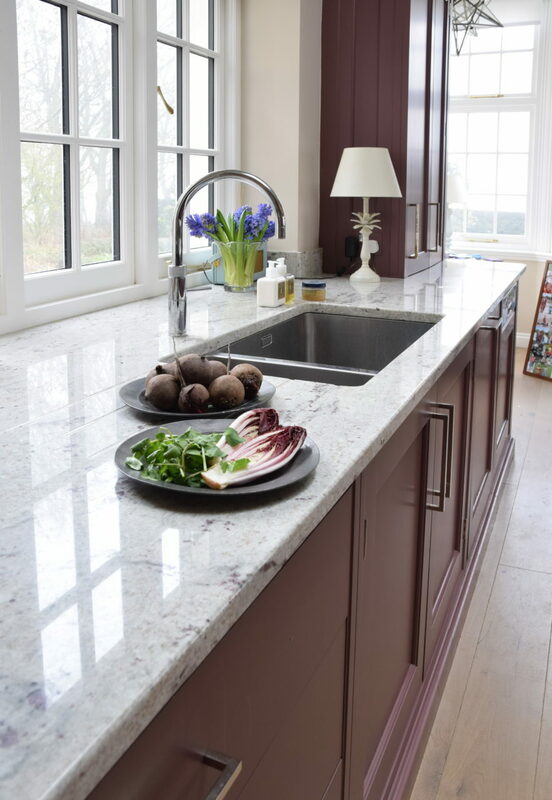 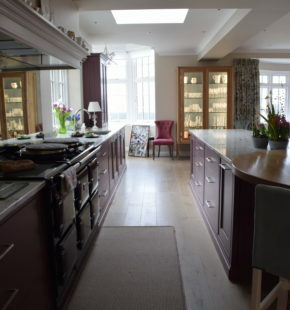 Kitchen colours are Paint and Paper Library Plum Brandy on the main run and island and Stone 3 on the tall cabinets.